I generally try to go into a show fairly cold so I can level set on the actual thing vs. the buzz that surrounds it, which sometimes makes for lovely surprises when you discover what the thing actually *is*. 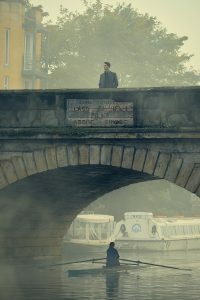 A Discovery of Witches lands on BBC America and AMC this Sunday night in the prime lead-out spot from the second season premiere of Killing Eve. It premiered in the UK on Sky late last year and is already available in its entirety on AMC’s streaming outlets Shudder and Sundance Now, where it did very well. It’s a testament to that viewership that it now lands on cable for streaming-averse folks to watch one episode at a time. I was aware of the series when it hit Shudder in January (full disclosure: I haven’t read the books) but I didn’t get a chance to sit down and actually watch it until now. I’m so glad I did in time to tell y’all about it, in case you also missed it. 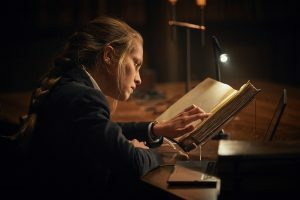 On the face of it, A Discovery of Witches is sort of a boogedy tale of Diana Bishop (2:22 and Lights Out‘s Teresa Palmer, in her first series), a historian who also happens to be a bonafide witch. A family tragedy led her to put that aspect of her life into a drawer. Returning to Oxford as a guest lecturer on themes of alchemy, she finds her abilities involuntarily re-activated. That’s alarming on its own, but then her blips attract the attention of Matthew Clairmont (The Crown and Downtown Abbey‘s Matthew Goode), a vampire and geneticist who’s been chasing a very old text. It seems to have been waiting for Diana’s arrival–and only hers–and then awakens to her touch. What begins as a somewhat menacing power play amid dueling creatures that also include demons evolves instead into an intricately nuanced love story. Who knew? Palmer and Goode strike a lovely balance as two people separated by factions and time–she’s a witch, living a human life and in her first lifetime, and he’s been around a while–who are unexpectedly drawn toward each other. They then have to weigh their loyalties to each other against their loyalties to their kind. I’ve been a fan of Goode since 2005’s Imagine Me & You (which is also treat for Piper Perabo and Lena Heady fans, BTW), and I really like him here. We’re not sure whether to trust Clairmont at first, and we don’t really want to, and then it shifts. Palmer is good as a woman who’s defined her young life a certain way, determined to hide her calling, until she’s forced to embrace it. It’s a slow build across eight episodes, and thankfully, second and third seasons have already been ordered. 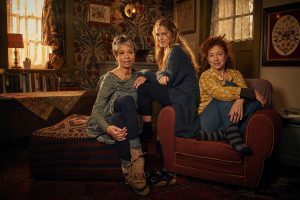 Look for Doctor Who‘s Alex Kingston as Diana’s aunt, Sarah, The Family Business‘s Valarie Pettiford as her partner, Emily, and Aiysha Hart (Atlantis) and Edward Bluemel (Halcyon) as Matthew’s fellow vampires, Miriam and Marcus. The series is based on the All Souls trilogy by Debroah Harkness. Juan Carlos Medina directs the first episode, written by Kate Brooke. 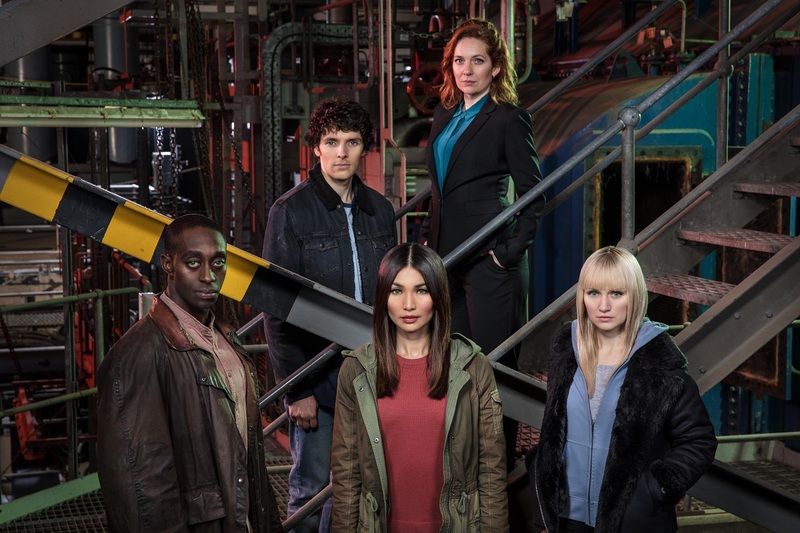 A Discovery of Witches has its cable premiere Sunday night at 9 pm/8c, simulcast on BBC America and AMC and I believe that continues for eight weeks. You can also stream all of the first season now on Shudder and Sundance Now. Here are a few sneak peeks. Photos Courtesy of SKY and BBC America; Videos Courtesy of BBC America and AMC.